Well, the first two games of the season proved to be quite something. One win, one loss. We need to thank the handful of V2 Titans who came out to assist the shorthanded V1 team on Saturday. All the players, especially our goalie Warren, made an amazing effort under challenging circumstances playing against some older kids! It is always a good experience to "play up" and they never stopped trying. The V1 team will be playing the Cannons again later this month on Nov. 21st, and Bantams WILL play. We will need every player for this game. This week's game is on Friday, Nov. 14 at 6:00 pm. Please have your player at Tucker Road Ice Arena by 5:00 in order to warm-up, get into gear and be ready for the coaches in the locker room by 5:45. The Georgetown Harbour Rink is now not expected to open until Thanksgiving. 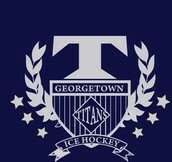 Coach Meaux has made arrangements with Fairfax Ice Arena to allow Georgetown Titans to attend public skates. Tuesdays, Wednesdays & Thursdays from 4:45 pm to 6:00 pm. For those who do not yet have their jerseys, the rink has a list of names with the Titans team punch cards. The Fairfax Ice Arena will allow Titans skaters to skate in full hockey gear, although they will not be allowed to bring sticks or pucks on the ice at public skate. I encourage the kids to skate in full gear. Also, especially for times when we will not have our community service volunteers on the ice with the kids, the children must respect all behaviour requirements posted by the rink. For parents still searching for hockey gear, this arena's proshop offers a special discount on gear to all Georgetown Titans hockey players. Please make sure you sign up if you are able to attend. The website is up-to-date and reflects the new changes. Finally, we ask parents to keep in mind that this is an effort to provide additional ice time, benefitting the team's skills, as well as assist in helping high-schoolers get their required volunteer hours. We appreciate your patience and apologize for any inconvenience. There is a scheduled game on Friday, January 9th in Baltimore. 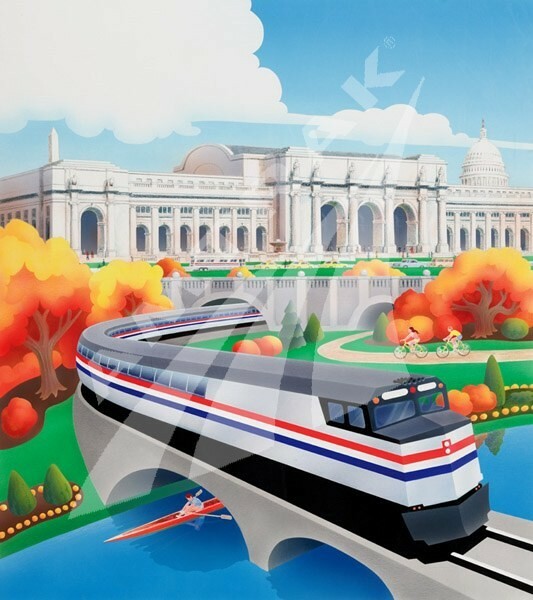 Similar to the game on February 20th, in which a bus has been chartered to get the team there, Coach Meaux has arranged roundtrip transportation on Amtrak for $16. Due to the difficulty in getting to Baltimore for a 5:00 game, transportation as a team is being provided; they have added a car for our team. 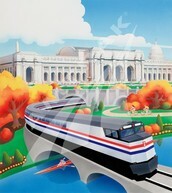 We need to provide Amtrak with the names of passengers by November 24th. We will also need some adults to travel with the players. PLEASE let me know if you would like to be added to the list of passengers. I will send confirmation a few days before the deadline. Please plan to be at the rink by 5:00 to be in full gear and ready to take the ice by 5:45. Copy/Scan of Birth Certificates - Still missing a number of these!